A slide presentation by Nellie Deutsch at WizIQ, "ESL/EFL Students Lack the Skills to Cope with Reading Comprehension"
English is a very important school subject. Knowledge of English paves the way to academic studies and higher earning jobs. Getting high marks in English as a second and foreign language reading comprehension tests means success in the core subject. Students are anxious to get high scores. Testing is not dangerous. Yet, many students cannot perform well under testing conditions. ESL/EFL students feel anxious when taking reading comprehension tests. The problem is that students in grade nine lack the skills to cope with reading comprehension tests. They do not have the tools to perform well in taking reading tests. This action research project studied the reasons for the anxiety students feel and ways of helping them deal with it so that they can succeed in raising their academic performance in ESL/EFL reading comprehension tests. Students learned to apply test taking and reading techniques to prepare them for reading comprehension tests. 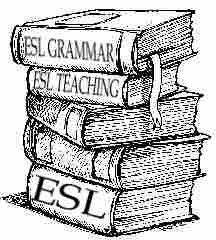 Reading and test taking skills provided ESL/EFL students with the tools to cope with reading comprehension tests. After applying reading strategies and relaxation exercises, students scored higher on their reading comprehension tests. What it is: Grammaropolis is a site I have long been a fan of. I’ve written about it in the past in these posts. Grammaropolis recently got a significant upgrade with TONS of new, great features. The site now includes character descriptions for nouns, verbs, adjectives, adverbs, pronouns, conjunctions, prepositions and interjections. In addition to the great descriptions, each character includes a song, videos, book, games and, soon, quizzes. Not all of this content is free, but there is enough free content to be useful in every classroom no matter the budget. All of the content associated with the Noun character is free. Every other character includes the character description and book for free. The music, videos, quizzes and games are “extras” that are available by subscription. Even if you are not in school or have students, get up and dance anyway. Who needs an excuse. Try some of these ideas to practice English while you dance. March is Music in our Schools Month! There has never been a better excuse to get up and dance with your students. To encourage you to bring music into your classroom this month, we’ve created a collection of useful links. These links are full of ideas for using music in the classroom. You will find lesson plans, teacher reflections, books, webinars, website reviews, and more. Thank you to all of our twitter pals for suggesting links to add to this page. Today, March 2, is Dr. Seuss' birthday. No one is ever too old to read Dr Seuss.